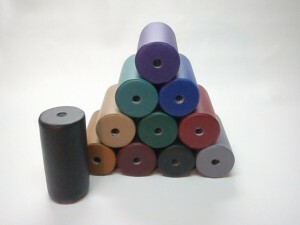 Contour Creations Inc. (ContourCreationsInc.com) is a family owned and operated business that manufactures hand-crafted upholstered vinyl fitness pads and rollers for Curves For Women fitness clubs. They offer our pads in black as well as 9 different colors. Their priority is to cater to the needs of Curves franchise owners and their clubs. The two main players in this operation are Jen and Karl. With past careers of accounting and teaching, Jen is ideal for the job of office manager, doing the accounting, marketing and being the all round trouble shooter. Karl has ten years experience in upholstery, including expertise in a range of things from boat seats, to antique furniture, to Curves pads. Karl oversees the production of the pads and is the shipping and quality control department. 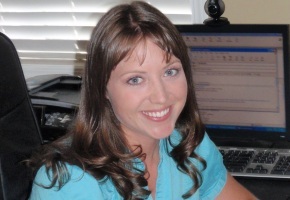 FranBest interviewed Contour Creations Inc. co-founder Jennifer to learn more. FranBest: How and when did you first come up with the idea for the Contour Creations Inc product line? What was the initial reaction? Jennifer: Karl gets credit for the initial idea. He had taken a contract with a Curves club in BC six years ago to reupholster their entire club. In the process of remaking the pads, he thought how boring it must be for all the owners and members to only have the color black available to them. He saw how colorful the rest of the club was, and then he looked at the pads and felt they didn’t fit. Speaking with the owners in his area, he found his idea for colored pads was a hit. He received immediate interest and got to work on reupholstering with color. FranBest: Over the past 6 years, how has the Contour Creations Inc. product line grown and evolved? Jennifer: Initially we didn’t even make fitness pads; rather our service was to reupholster the old pads in black and color. However, owners kept enquiring if we sold new pads as well, which got Karl to thinking. It didn’t take long for him to have a full line of all the pads available. For the first few years all the boards and foam were cut by hand, which worked, but costs and time were high, and keeping consistency was difficult. Over the past six years we have done a lot of R & D, and have refined the process. Now all of our materials are precision cut, and we have trained upholsterers working hard to keep up with orders. We are continuously working to improve and expand our product line and services, and are always happy to receive feedback from managers and owners. FranBest: Today, what Contour Creations Inc products are available for Curves owners? 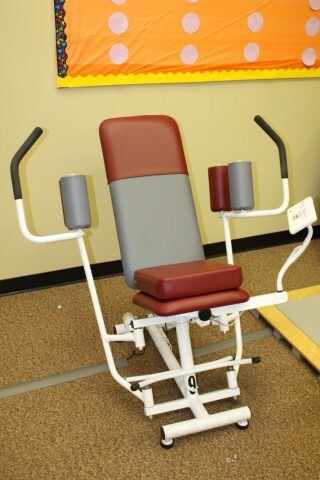 Jennifer: All the fitness pads and rollers for the Curves machines are available through Contour Creations Inc. As well we have sheath covers to protect back pads, and wedge cushions and seat cushions. We have a few new products in the works, but don’t want to blow our cover until they’re ready for launch. FranBest: What are the color choices? FranBest: How else do your pads differ from the standard-issue pads? 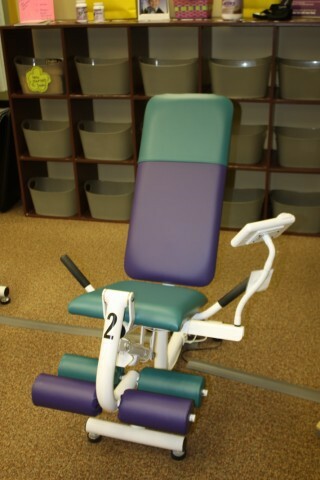 Jennifer: We have designed a new kind of roller pad that is completely upholstered in vinyl. This means that no foam is exposed resulting in greater durability, as no chunks get ripped off during use. The upholstered vinyl also slows down the process of the foam breaking down, as well as makes it easy to keep the pads clean and sanitized. Another product we’ve come up with is a 2” hybrid-foam squat pad. The two differing densities of foam allow for comfort as well as proper resistance thus stopping members from “cheating” when using the squat machine. We also offer the old style 4” upholstered squat pads that have been discontinued by the leading supplier of Curves pads. In the past month we have also added the option of a more slippery vinyl on seat pads, making sliding on and off the machines easier for members. FranBest: How many Curves owners are using or have used Contour Creations Inc. products in their clubs? What do they value most about your products? Upholstered vinyl pads, which have greater durability and a longer life than the pads sold by the leading Curves pad supplier. The vinyl is easy to keep clean and sanitized, unlike rubber molded pads. Our unique rollers and squat pads. Out attention to detail, prompt customer service, and quick shipment of orders. FranBest: What do Curves owners say are the greatest benefits of using Contour Creations Inc. pads? That the foam densities have been specially tailored in each pad to give optimum resistance during use. FranBest: Do Curves owners usually replace a piece at a time, or do they replace all their pads at the same time? Are there advantages to refitting an entire club? Jennifer: During the current economic situation most owners are only ordering replacement pads for pads that need to be retired. However as owners hold off on replacing pads, their clubs get into disrepair, which then in turn is noted by members, and memberships can lag. Ask any woman whether she’d like to work-out in a bright colorful club in good repair, vs. a club that has obviously seen better days…well the answer is obvious. For owners that want to spice up their club with some color, without the big price tag, we have a promotion that gives 8 seat pads and 8 sheath covers in any color or combination of colors for only $425. As well, there are discounts of 10% for orders over $200, and 20% off orders over $500. FranBest: I understand that Contour Creations Inc. is an eco-friendly company. Explain your “Go Green” program and what you do to minimize our ecological footprint. Jennifer: At Contour Creations Inc., we are very conscious of our ecological footprint, and we make every effort to minimize it. We would like to put out a challenge to all eco-friendly Curves owners and managers out there, and in the process reward those who participate. - Enter your name, address, and email on the form. - Put the new pads onto your machines, and rather than throw out the old pads, put them in the box, along with the Go Green Form, and ship it back to us. (We don’t accept rubber pads as they are not currently recyclable. Only ship back UPHOLSTERED VINYL PADS). - Upon receipt of your old upholstered vinyl pads, we will email you a coupon code that will give you 15% off of your next order. FranBest: What happens to the old pads and shipping materials? Jennifer: The Apple-wood back board and attached hardware are reused. The foam is recycled. The box you sent everything back in, is recycled or reused if possible. The vinyl is not currently recyclable, but we send out a request to anyone for suggestions on how to keep it out of the landfills. FranBest: Do club owners gain marketing advantages by giving their clubs a fresh look with Contour Creations Inc. pads? How do they help attract new members? Retain current members? Jennifer: Allow me to answer this one with a storyabout one of our customers. An owner in BC was telling me about her membership numbers going down, and members coming in less often. I suggested she try our “Splash of Color” promotion to freshen the place up. Three months later I phoned her back to see if the colored pads had worked and her happy response was that the members had been coming in more frequently. She told me they said it was a nicer environment to work-out in and that it made it more appealing to come in. She then went on to say that as the members began to come in more often, they started bringing friends in with them, who then in turn bought their own memberships. FranBest: Are Contour Creations Inc. pads much more expensive than the standard pads? Jennifer: No, in fact our pads are more affordable than the standard pads. We understand the pinch everyone is experiencing in these economic times, and have responded with lowered prices, promotions, and a shipping chart that charges the actual cost of shipping. FranBest: What is this month’s promotion? Buy four rollers and only pay for three. Look for the coupon code on our website. FranBest: Tell me about the service philosophy of Contour Creations Inc.. What kind of service and support do you provide? Do you guarantee your products? Jennifer: Our entire business is geared around catering to the needs of Curves owners. We are always available to answer questions, assist with orders, and solve problems should they arise. As we are always on the lookout to improve our products and services, any input from owners is greatly appreciated, and is often rewarded with a discount on the next order. Some things we have added to our service that has come about through requests of owners include; our Go-Green Program, our at-cost shipping rates, the color option Deep Violet, our new 2” hybrid-foam squat pads, and our fully upholstered rollers. We also have a few things in the works that will be launching shortly. We stand by our products and warranty against all manufacturing defects from 90 days of purchase. FranBest: In the past 6 years, what sort of relationships have you forged with Curves owners? What are some of the frustrations they face? What have you done to try to help them overcome some of those frustrations? Jennifer: In the past six years we’ll forged some lasting relationships and even friendships with the owners we work with. We empathize on the highs and lows that one experiences as a business owner, and the frustration that comes with a lack in support from higher up. Curves owners form a bond with their members. We form a bond with our owners. Each and every frustration mentioned above has been addressed and a solution implemented by Contour Creations Inc. If owners have a problem that we can solve, we make it a priority to solve it. FranBest: How can Curves owners see and purchase Contour Creations Inc. products? Jennifer: Come visit our website at www.contourcreationsinc.com. Our website has numerous pictures of our pads in different clubs as well as on-line ordering. FranBest: What’s the next step for a Curves owner who is considering Contour Creations Inc. pads, but not sure. Jennifer: First, come check out the website. (www.contourcreationsinc.com). We have all sorts of information and pictures on there to see. If an owner is thinking about adding color, but wants to make sure our colors are compatible with their club’s colors, we have color swatches with actual pieces of vinyl. Just send us an email request and we’ll mail it out to you along with a brochure. If an owner has questions or concerns they can always contact me by phone or email. Word of mouth is always good too. Put out a request for feedback on the Curves Owners Yahoo site, and find out firsthand what other owners think of our products. You won’t be disappointed.